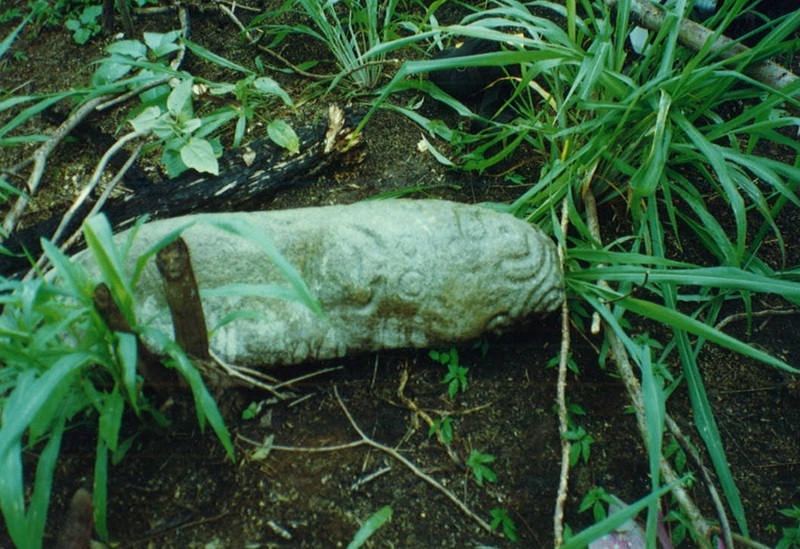 Here are a number of images of the impressive stone sculpture found all throughout eastern Honduras. Sites in more remote locations, where they have not been picked over as much by nearby residents, often have dozens or hundreds of small metates, or grinding stones. The region is famous for the large grinding stones, which are very elaborate and possibly served as seats of power or thrones. We don’t know the dates for all of these types of stone artifacts, but the larger metates most often occur with Period V pottery (Late Classic, probably 800 to 1000 AD). 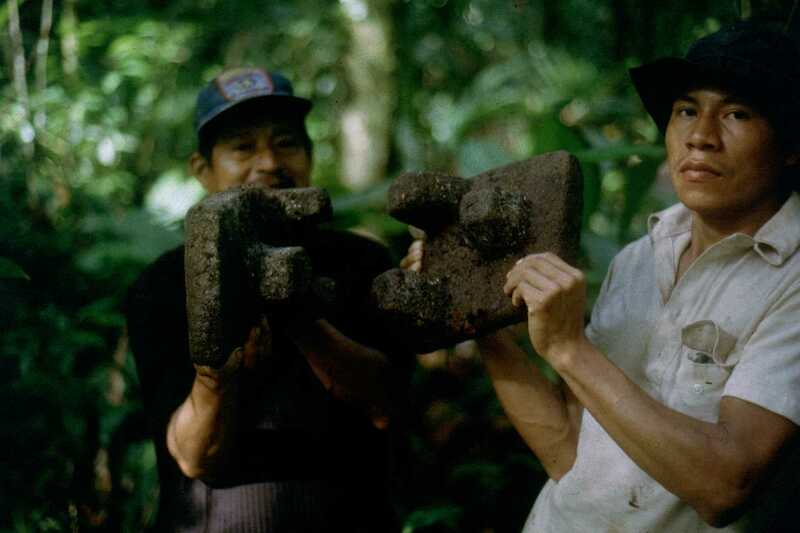 Don Faustino and Linton, Pech from Subirana and El Carbon, hold up two small metates at a site along the Rio Platano. Almost every one of the larger sites has dozens or more of these, although those sites nearer to a village have often been looted heavily. Dozens of small metates along the Rio Platano, in the nuclear zone of the Rio Platano Biosphere. 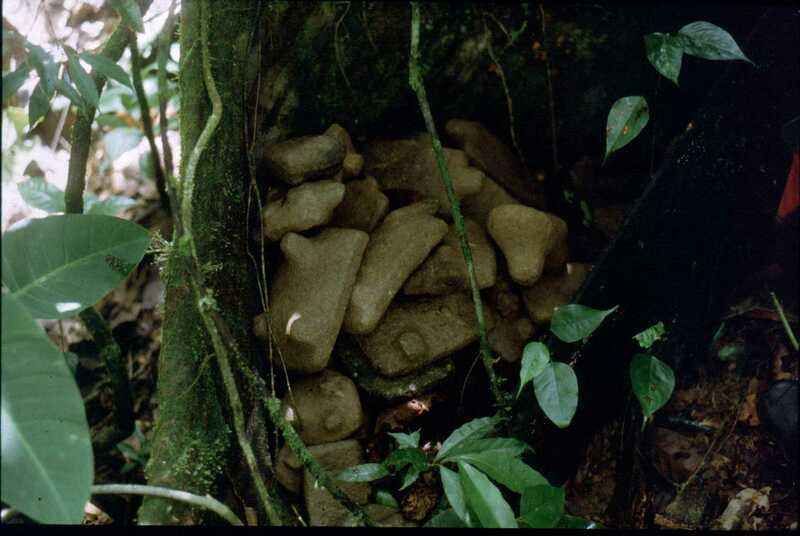 A dozen or so of the hundreds of small metates at a site along the Rio Platano – these have been moved around by people passing through the area, which is approximately 3 days walk from the nearest house. 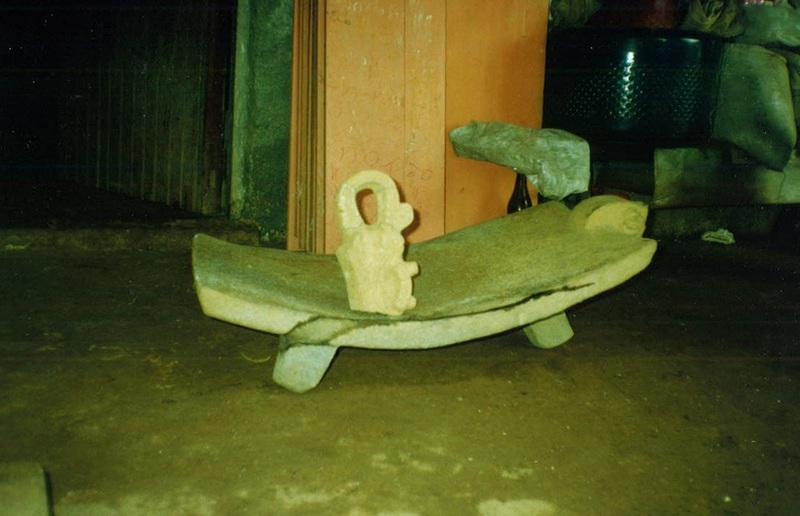 A small stela, about a meter high, from a large site along the Paulaya River. 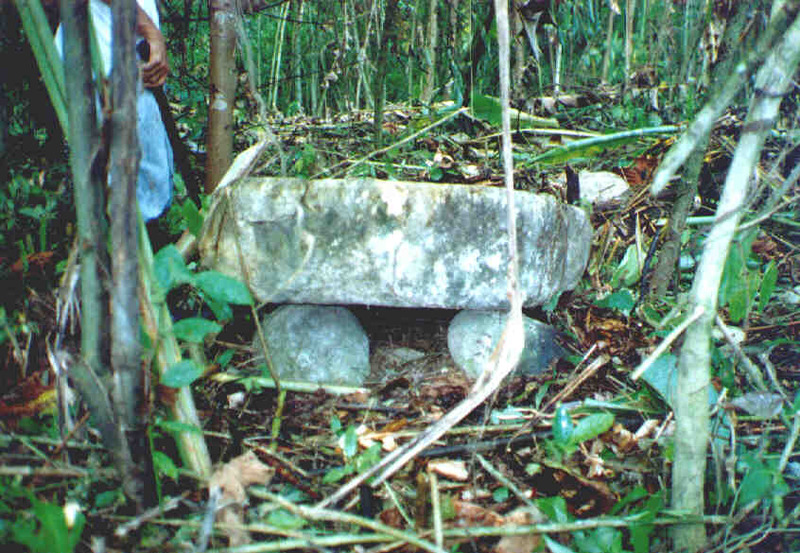 This is located in a cave up a small tributary of the Rio Platano, where many stone sculptural items were located, including several intact, large grinding stones. I thought this was marble, but now think it was made from a stalactite or other cave formation. Although this site is many days walk from the nearest village, all of the large grinding stones were looted soon after we saw them. 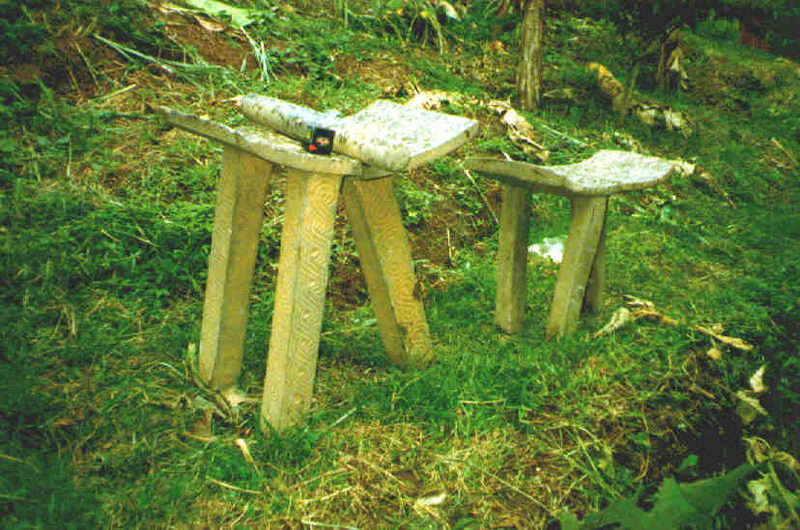 The Pech call these ‘altar stones’ – they are flat slabs sitting on three or four round stone supports. Many have been turned upright or broken in the mistaken belief that there is treasure beneath them. Hype and sensationalism has encouraged this kind of destructive behavior here and elsewhere. This is in a site on a tributary of the Rio Platano. This is a photo taken during the filming of Trips Money Can’t Buy, the BBC documentary with Ewan McGregor (left) and Ray Mears. 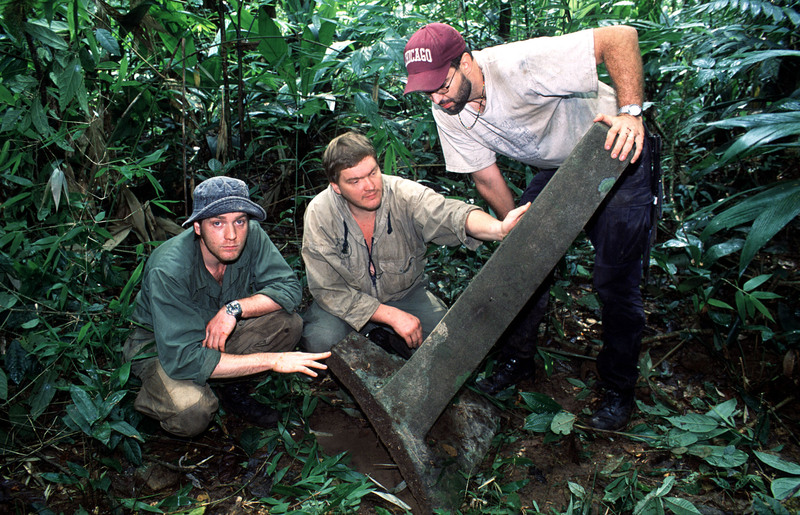 I am showing them the leg of an enormous tripod metate, or grinding stone, which are found throughout eastern Honduras. 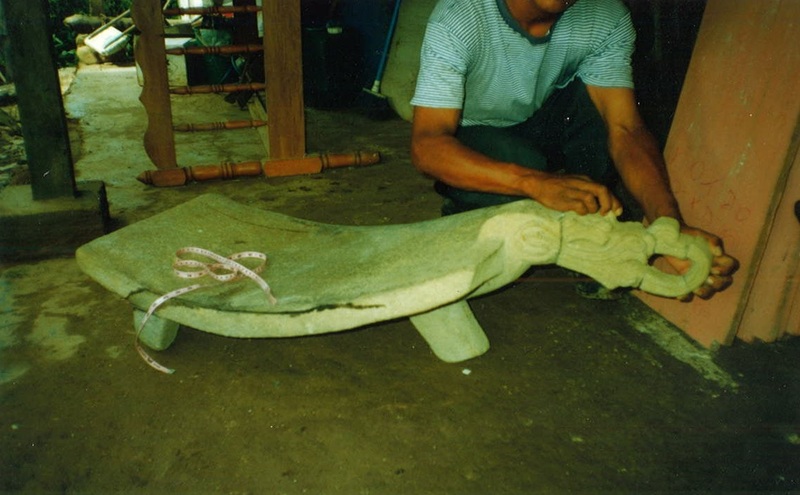 This is a typical tripod metate with the head of an animal. 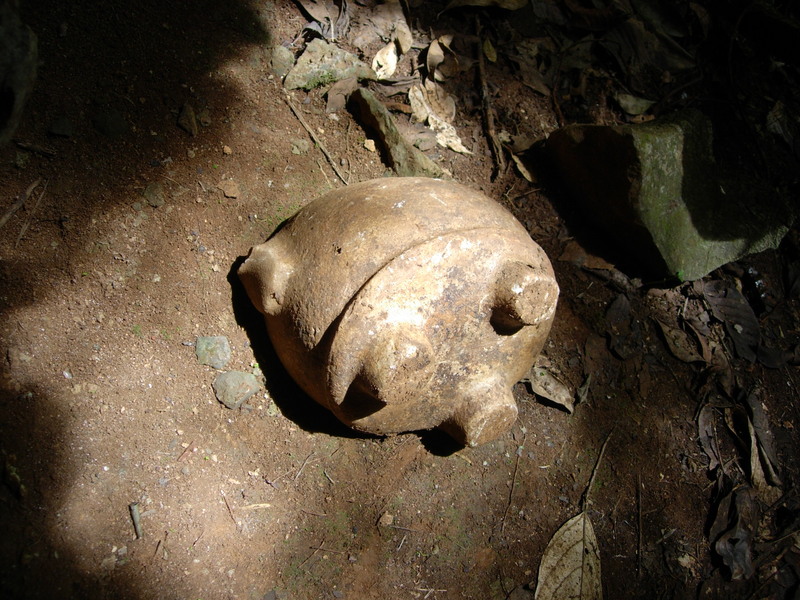 Often, the heads are broken off intentionally and taken, since the entire artifact would be much heavier to carry. 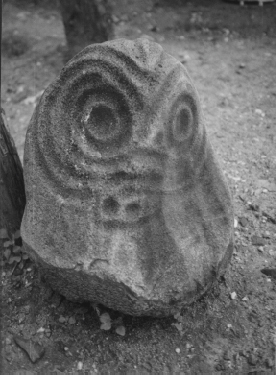 This sort of stone scupture, utilizing the natural organic form of the stone, is not as common as the grinding stones, but many have been found throughout the region. 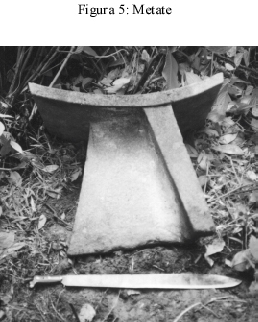 A incomplete, large tripod metate from a tributary of the Rio Paulaya, with a machete for scale. 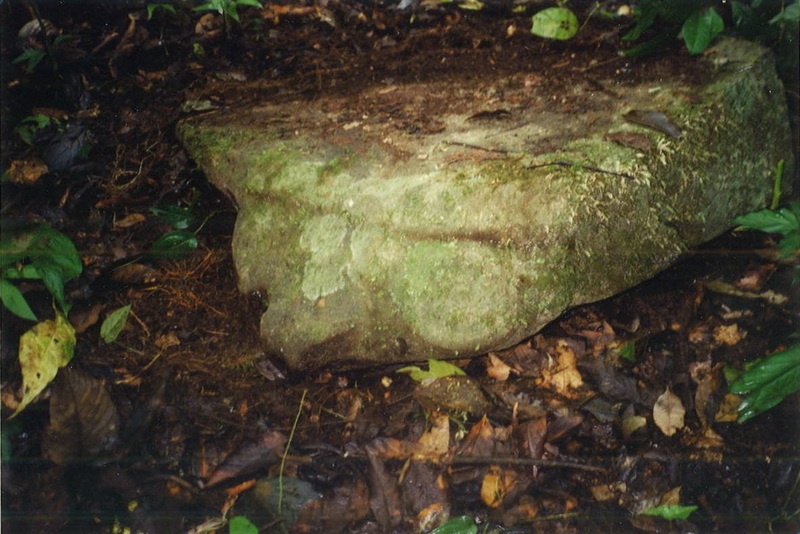 A flat ‘altar stone’ with a face/animal head carved on one side. This is from a site far up a small tributary of the Paulaya. 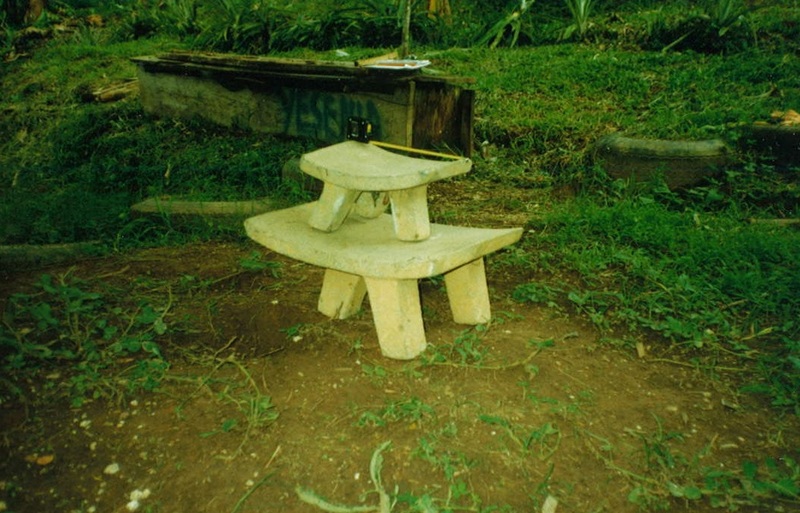 This is an unusual shape for stone bowls in this area, with the long tripod legs. 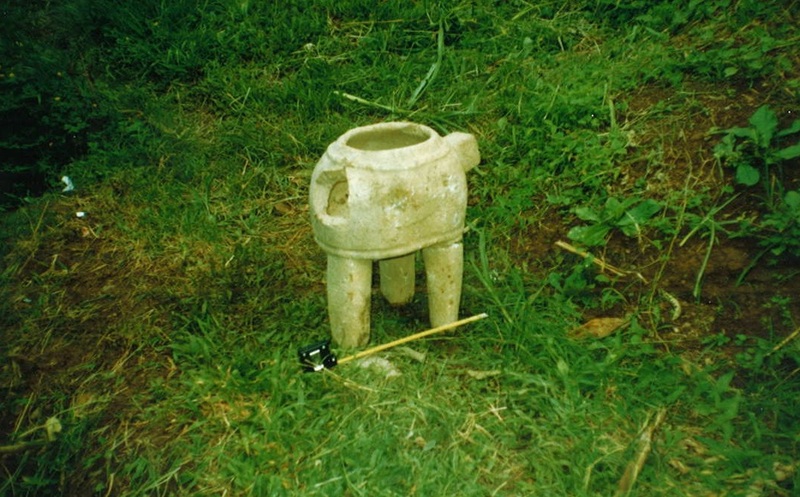 This looks a little like some ceramic vessels we find further west, near Juticalpa. 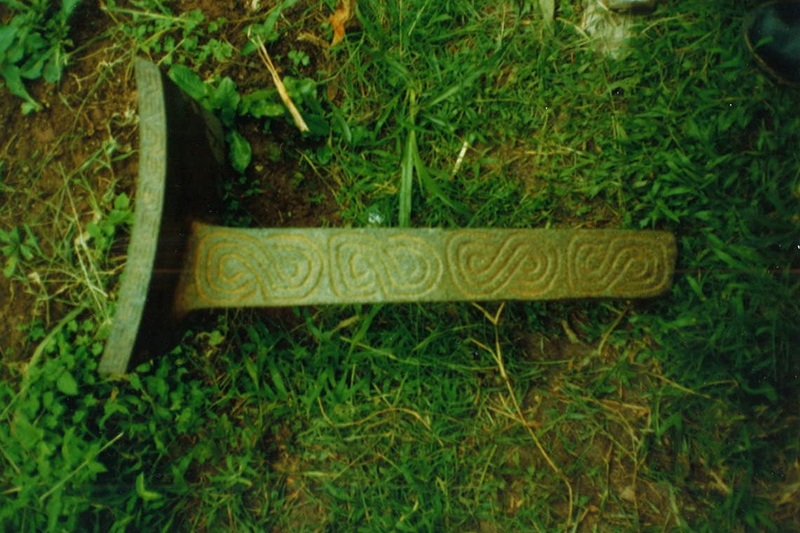 S and figure 8 patterns, as well as variations of Solomon’s knot, are common motifs, as seen here on the leg of a broken tripod metate. 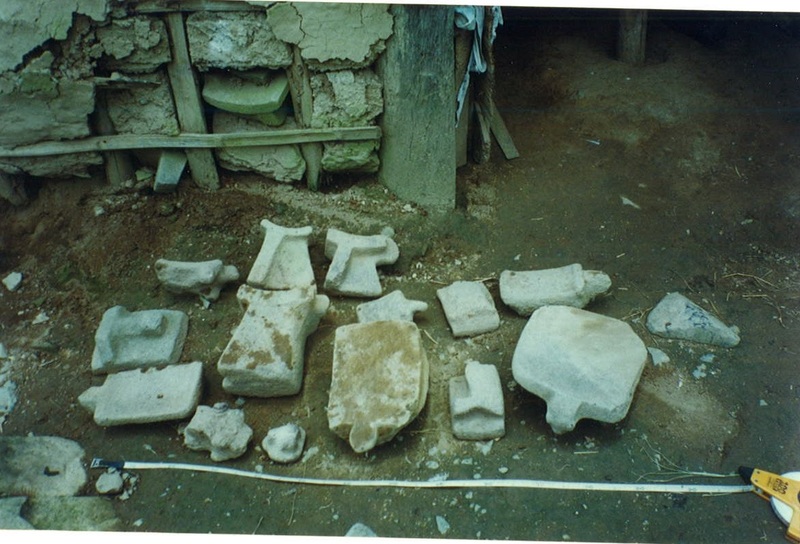 Many archaeological sites in eastern Honduras are now home to present-day residents of the area. It is very common to find dozens of stone sculptures in these modern villages, often incorporated into the architecture. Here, you can see a small metate in the wall of the wattle and daub house. Not that many of the miniature metates seem unfinished. More tall metates – from near the Rio Aner. Some sites have hundreds of grinding stones, and nearly every size imaginable. Amazing to find these artifacts seemingly strewn about, right on the surface. Abandoned, but not forgotten.